An IRA stands for "Individual Retirement Account." If you don't have one, you're missing out on additional retirement income that you can, in some cases, invest on your own terms instead of having to choose between a few company funds as you would with a 401(k). An IRA allows you to put off paying taxes on the money you've invested until you retire, and it's a powerful tool that too many people aren't utilizing. 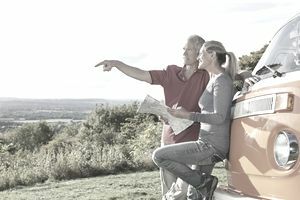 Is an IRA an Investment? People frequently ask how to find the best interest rates on an IRA, but an IRA itself is not an investment. It is a type of account, and it acts as a shell or a holder. Inside the account, you can invest in many different types of assets—far more than your company-sponsored 401(k). You can open an IRA account at a bank, brokerage firm, mutual fund company, insurance company, and at various other types of financial institutions. In some cases, you can self-direct your IRA investments. In other words, you can choose to use the money you deposit into your IRA to invest in CDs, government bonds, mutual funds, stocks, and almost any other type of financial investment you can think of. The two IRAs are different based on the tax rules that regulate each type of IRA account. As a subcategory of Traditional IRAs, you can have a non-deductible (taxable) IRA, spousal IRA contributions, SEP IRAs and SIMPLE IRAs. As a subcategory of Roth IRAs, you can have Roth spousal IRA contributions. There is also a Roth 401(k) option called a Designated Roth account. Traditional IRAs were introduced by Congress in 1974 through the Employee Retirement Income Security Act as a way to encourage people to save for retirement by offering special tax treatment for funds that you put into IRAs. A Traditional IRA is best for workers who think they'll be in a lower tax bracket after retirement, and people who don't have access to other retirement plans such as a 401(k). Contributions to a Traditional IRA may be tax deductible if you meet certain eligibility requirements. If you are not eligible to make a tax-deductible IRA contribution, you may still make a non-deductible IRA contribution. Funds inside of an IRA grow tax-deferred. This means you do not pay income taxes on interest, dividends, and capital gains until such time as you take a withdrawal. There is a penalty imposed on early IRA withdrawals which is a withdrawal that occurs before age 59 ½. The penalty is 10% plus income tax payments so try not to take any early withdrawals unless absolutely necessary. You must begin taking required minimum distributions by age 70 ½.
Roth IRAs were introduced through the Taxpayer Relief Act of 1997, and they have different tax rules than Traditional IRAs. A Roth IRA account makes sense for people who expect to be in a higher tax bracket once they retire. Since you can withdraw your contributions penalty-free at any time, a Roth IRA can also serve as an emergency fund. Contributions to a Roth IRA are not tax-deductible, but funds inside of a Roth IRA grow tax-free. This means you will never pay income taxes on interest, dividends and capital gains on funds that accumulate inside of a Roth IRA as long as you follow the Roth IRA withdrawal rules.​ In other words, with a traditional IRA, you pay taxes when you retire and withdraw the funds. With a Roth IRA, you pay the taxes now, before you contribute to your plan. The advantage to this is that later in life, your individual tax bracket might be higher along with the overall tax rates. You can withdraw amounts contributed to a Roth right back out with no penalty taxes owed. This means a Roth IRA can double as your emergency fund. Roth IRAs do not have required minimum distributions at any age. You can convert a Traditional IRA to a Roth. Note: Rules on conversions are different than rules on contributions. Although there are steep penalties for early withdrawals, some exceptions apply. You can use some of your account balance to pay medical bills up to a certain amount. If your medical expenses will exceed 7.5 percent of your annual adjusted gross income, you can take the amount over and above the 7.5-percent amount out of your IRA penalty-free. You can also withdraw funds to pay health insurance premiums if you're between jobs and to cover higher education expenses. Even a first time home purchase is allowable. If you're disabled, you must have your doctor certify that you are completely and permanently disabled, to the extent that you can no longer perform enough work to earn a living, to qualify for penalty-free early withdrawals. Each of these withdrawal options comes with plenty of rules. If you do choose to withdraw, keep in mind that you will lose the earning power of that money once it comes out of the account, so weigh the decision very carefully. If you are a small business owner, a sole proprietor, work as a freelancer or engage in any other form of self-employment, you can take advantage of two different types of IRAs that offer benefits similar to the traditional and Roth IRAs. These plans are simplified with low fees and minimal administration. Money can be withdrawn from these accounts immediately but may be subject to income taxes and a 10-percent penalty if the account owner has not yet reached 59 1/2 years of age. Additionally, any withdrawals from a SIMPLE IRA within the first two years may incur a 25-percent penalty for non-retired account holders. If you own a business or work as a self-employed independent contractor, you may be eligible to establish a Simplified Employee Pension (SEP) IRA. The SEP IRA provides tax benefits to the employer when it makes contributions to an account for the benefit of the employee. An employer can contribute up to 25 percent of a worker's annual salary, but employees cannot add money to their own account. The employer has the flexibility to pay different amounts into the SEP IRA accounts each year, based on the profits generated by the business. Each employee must receive the same contribution amounts. If you have access to a SEP IRA, it may allow you to make a larger contribution than what you could make to a traditional or Roth IRA. With a SEP IRA, you can contribute the lesser of $55,000 or 25 percent of your annual wages. The Savings Incentive Match Plan for Employees (SIMPLE) IRA, is a type of IRA plan that is best for smaller companies with fewer than 100 employees. The SIMPLE IRA works in a similar way to 401(k) plans, although the annual contribution limit is lower than the $18,500 allowed in 2019 for 401(k) accounts. Employers must match employee contributions at 3 percent, or put in 2 percent of the employee's annual salary, even if the employee doesn't contribute. Employees must have earned at least $5,000 in the previous two years and be on track to make at least $5,000 in the current year to qualify to use a SIMPLE IRA. Like the SEP IRA, a SIMPLE IRA may allow you to make a larger contribution than what you could make to a traditional or Roth IRA. The contribution limit for a SIMPLE IRA is $13,000 annually for 2019 with an over-55 catch-up contribution max of $3,000 per year.